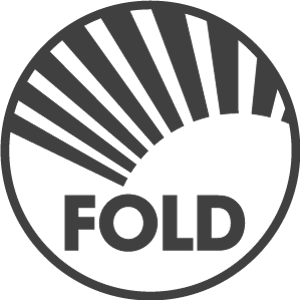 At the start of 2009 I began an experiment – to create and eventually launch a socially conscious album of music as an entirely non-profit artist under the name Fold. 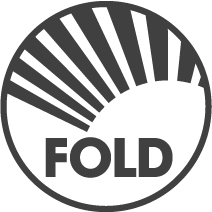 Any profits generated by this project are to be fed back into music education, particularly for the underprivileged – similar to the work being done by Virgin Unite Music Movement. The album – tentatively titled So It Goes, after a recurring motif in the Kurt Vonnegut book Slaughterhouse Five – deals with major issues affecting society by bringing them out into the open. This is achieved through the use of edited and combined speech samples from the likes of Martin Luther King Jr, John Lennon, Nina Simone, JFK, Mike Ruppert and Jimmy Carter. These are carefully placed over downtempo beats and bass lines with a liberal addition of electric and acoustic guitars along with other varied orchestration. I wear my influences on my sleeve. My use of speech samples in music has been directly influenced by such pioneers as Lemon Jelly, DJ Shadow, DJ Cam and The Gotan Project. Much like the latter the incorporation of the speech samples is not esoteric or abstract but accessible and direct in its subject matter. There are humorous moments but it is generally quite emotional and hard-hitting in places. So It Goes is now in the final stages of production and will hopefully be mixed and mastered by July or August. At this stage I have just initiated the crucial process of getting permission to use all of these samples. I have enlisted the help of the Performing Rights Society for Music and will approach copyright holders and estates directly if necessary. I am hoping that this process will raise the profile of the project by default. If I am able to acquire permission to use, for instance, John Lennon’s voice as I am planning – this should enable me to make a strong pitch. The plan is to approach a number of charities – chiefly Oxfam and Virgin Unite – with a proposal to share profits if they cover the cost of manufacturing and distribution. Both of these organizations have the potential to distribute records nationwide. This would initially be limited to the UK, particularly if I can only initially secure the rights to use samples in this territory. The purpose of this blog is to log and broadcast the progress of the project and to hopefully rally some support in the process. There will be audio soon – otherwise it is all hot air.